If you’ve ever been a part of a startup, you may know a little about what we’ve been through. You have to grind, hustle and wear your start up life on your sleeve. We meet in coffee shops and compare the stickers that cover our Macs. This is our culture, and at App Innovators, we’re bringing that culture to a whole new level. Just to be clear, App Innovators is no longer a startup. We were, years ago, but the title no longer fits be-cause of the level of success we have achieved. We’ve worked with political parties, musicians, small business owners and entrepreneurs with incredible aspirations. We’ve published over 200 mobile apps and our list of websites is growing every day. When we go to sleep, we dream of practical and creative solutions for the mar-ketplace. When we go to work, we make those dreams reality. Everyday new businesses, individuals and organ-izations reach out to us to help foster the creative potential they’re looking for. This is success, or at least the start of it. 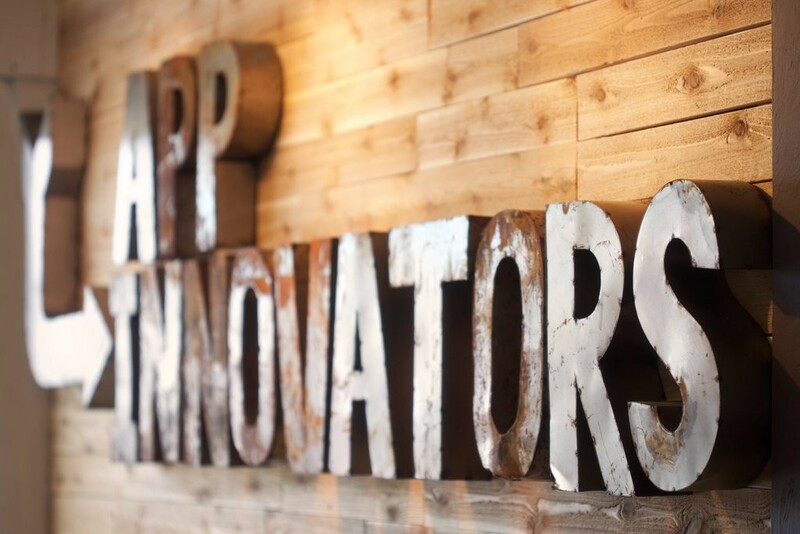 This is App Innovators, and we’re hungry for more. App Innovators and its team members, all 12 of us now, will always work harder than others to go further. We keep push for bigger and better. Here’s to 2016. The time to grow is now, will you? On the theme of growth, we want to introduce some of our new staff members to you. In the past month we’ve doubled in size, from 6 to 12, in order to accommodate the growing needs of our clientele. First up, we’d like to welcome Jonathan and Benji to the team. With 2 new full-stack designers, App Innovators now has the ability to expand our creative horizons and manage an increasing number of builds at once. These are the guys you want working on your project and we’re excited to have them on our team. In order to facilitate client outreach, we’ve also added Olivia and Kurt as Mobile Solutions Strategists. If you’re looking to see how we can help your business, organization or idea, Olivia and Kurt are the first step in helping you achieve that goal. Last, but not least, we’ve developed a PR and Marketing team in order to forge strong relationships between App Innovators and the community. We’re proud of what we do and we want everyone to know about it! That’s where Brent and Scott’s new marketing team steps in. If you’ve ever been to our office, you know how much pride we take in our unique work space. Our open environment helps foster creativity and encourages a high level of collaboration. As of late, we’ve made a few exciting changes to our office. We wanted to expand our main work space so that we can accommodate the new staff members. We have the office space, but where’s the fun in everyone being separated? In response, we knocked down a wall and built a giant collaborative work space in its place. As you can see, we’re all about creativity. When you combine this with countless whiteboard walls, a 1500 square foot meeting room (complete with AstroTurf flooring) and multiple 60” flat screen TV’s, you get a recipe for innovation. App Innovators would love for anyone who’s interested to swing by and give us a visit. We enjoy showing off the work we do and where we get it all done! You can now hear us on the radio! Every Tuesday at 7:23am, tune in to 100.7 WFLAFM for the “Digital Dynamic” with App Innovators CEO Dustin Rivest and host Preston Scott. Dustin and Preston will be covering various topics on how technology can help your business. Tune in live or visit our Twitter and Facebook to watch our weekly recordings.